This tool guide is a collection of all the things that make your Chigiri-e experience easier and more comfortable whether you are a beginner to the unique paper art or experienced in the field. A dual tip stylus pen designed just for Chigiri-e. The sliver steel-tipped end is ideal to make an indentation in any type of Washi paper for tearing or for folding. The plastic tip end is great for tearing out small circles. The rubber grip provides better grip and comfort, and improves performance. Because you need to work with fine pieces of Washi paper, you will need a good set of curved- tip tweezers. These tweezers are made in Niigata, which is not only prominent in Japan, but also a world-renowned town in production of forged products. The ergonomic body design and narrow tips allow you to hold even the thinnest piece of paper firmly and with ease. Made of high-grade stainless steel, these tweezers are long-lasting. Pieces of paper can be inserted between the loops and held together. 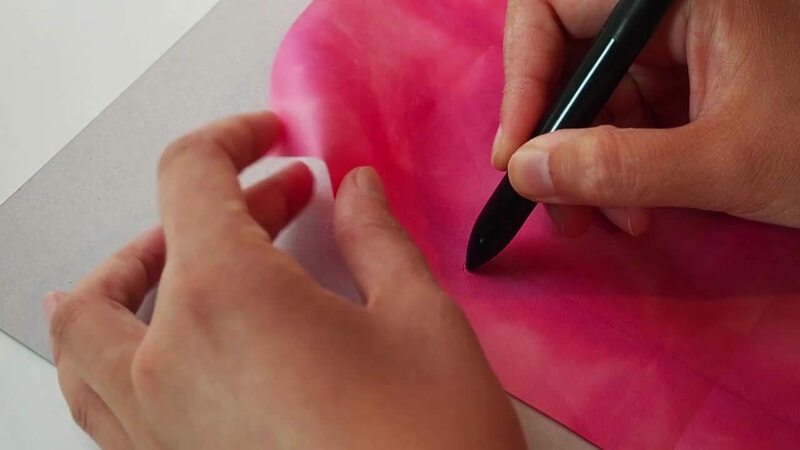 In Chigiri-e they are called for to keep the tracing template securely in place when you are tracing the design onto the artboard. These tiny essentials that everyone seems to have around the house are included in our Starter Tool Set so that they will be available in a particular place right when you need them! You can find these fantastic tools in our Japanese Creations’ Chigiri-e Starter Tool Set. Find out about other high quality Chigiri-e tools in this wonderful tool set in our next blog coming shortly. For a limited time, we are now offering 50% OFF our Starter Tool Set with a purchase of any one (1) Chigiri-e Project Kit. Visit our Chigiri-e page now to shop. *Discount will automatically be applied at checkout.